Q. Is there any particular author or book that influenced you in any way either growing up or as an adult? There is only one person who shaped my writing, whose influence made such an impact on my life that I never considered any other profession, than writing. As the daughter of a Pulitzer Prize-winning journalist, my craft was shaped early in childhood. My father, Bill Billiter, was a journalist during a time when it was a time-honored profession. Men wore fedoras, white linen squares were tucked neatly in coat pockets and everyone was a suit-and-tie man. It was a romantic period. And I fell in love with the idea of being a writer. But novelty is not the same as practical experience. When an editor cuts half your copy, it takes passion, persistence, and perseverance to keep the pen on the page. My father died before he could read my first byline or book, but that hasn’t stopped me from writing. If anything, it keeps me writing. When I write, I am the closest to my father – the writer who had the most influence on me. Q. What was your favorite chapter (or part) to write and why? Chris Gorham or “Gorm” is the main love interest for protagonist, Dani Quinn. Gorm is an unabashedly bald sports reporter. My husband is bald and used to be a sports reporter. Hmm…. “Bob” is the other love interest for Dani. Bob looks like Thor. And instantly I was reminded of sections in the book that brought me to my knees when I wrote them. Later, I texted Ron that I was given the author letter “P” for The Masquerade Crew blog and that it had to relate to my book. A return text quickly surfaced. 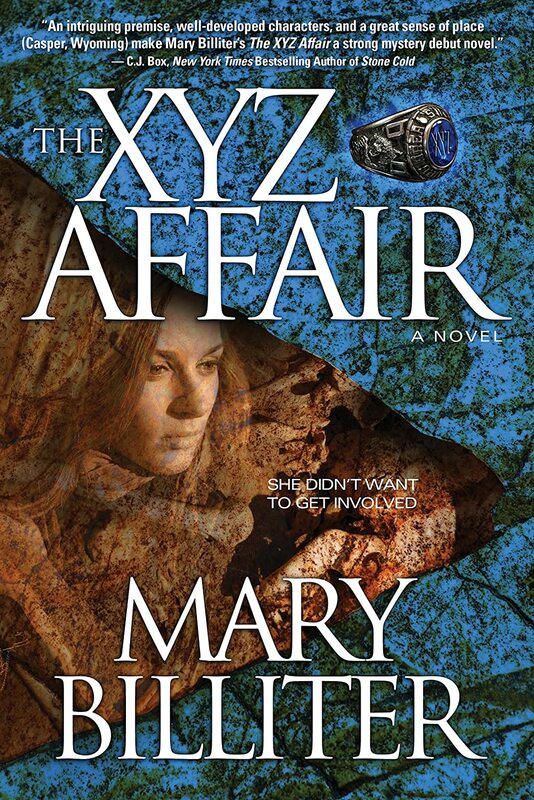 “The XYZ Affair” is about two people who don’t break their promise despite love, loss and secrets.